Philadelphia is a picture perfect place to enjoy a night out on the town. Whether you're drawn here by the bustling downtown area filled with exciting nightlife and eccentric partygoers, or the quiet and serene countryside, Philadelphia is guaranteed to have something for you to enjoy. The deep history of this city plays a big part in its charm. Not only do we have great cheese steaks for you to sink your teeth into, we have a host of museums and historical parks to spend time in. Just like any other downtown area, downtown Philadelphia is an electrifying are filled with adventure. No matter your adventure, we have the vehicle to accommodate you comfortably. 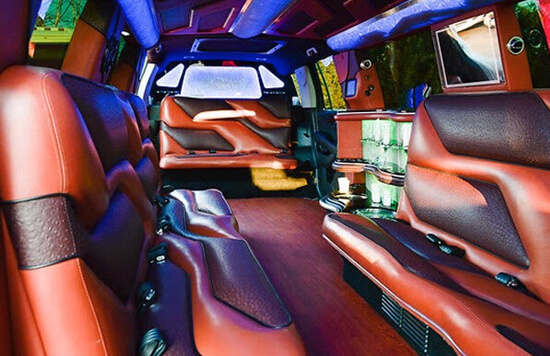 All party bus and limousine rental services provide the same service, what sets them apart is the level of expertise, customer service, and luxury vehicles. You'll find that Philadelphia Limo has all the qualifications to transport you and your guests in first class, premium style to wherever you need to go. We provide transportation for any and all kinds of events such as school dances, sporting events, weddings, bachelor/bachelorette parties and much more. There are virtually no limits to what we can achieve for you, to the places we can take you and the exciting ways in which we can add to the quality of your night on the town. No company will go as far out of their way to make you feel like royalty. It's our mission and our goal to make you into a return customer, and the only way to do that is to deliver a truly high quality experience from top to bottom. We've got a truly amazing fleet of vehicles for you to look at, and we invite you to take a look at our vehicle page for all of the information on them. This page features photographs and feature lists so that you can compare vehicles and decide which one will be most ideal for your outing. If you've got the time, we'd love for you to come down to our place of business to take a look at these vehicles in person. That way, you can take a look at the custom interiors, see how cozy the seating is, try out the entertainment features, make sure the bar exceeds your expectations, and just bask in the glow of that beautiful lighting. You'll be able to tell which vehicle is right for your trip just by experiencing them for yourself! However, if you're as busy as we all are these days and you just don't have the time, our staff is expertly trained in choosing the right vehicle and they will be happy to do so for you. No matter what type of event you are attending, allow us to remove the stresses and pressures of traffic and parking. Enjoy even the longest drives with the most exciting amenities at your fingertips. Watch our HDTVs, listen to our booming stereos, and entertain yourself by playing bartender late into the evening. Save money by mixing drinks in between bars. Enjoy winery tours even more than you would in your own vehicle, since you can get a good buzz going and even enjoy the bottles that you buy! Crack them open as you travel and enjoy sipping them as you drive. You can't do that in your own private vehicles, but with us, it's 100% legal and you've got your own designated driver too! Here at Philadelphia Limo, what makes us the best limousine and party bus rental service in the Philadelphia area is the team of passionate and hardworking people who take care of every minute detail in order to make you the happiest you can be. Our vehicles are meticulously cleaned and stocked with top of the line amenities. We mean it when we say you'll have nothing to worry about on the day of your special event. Our team of front line employees and chauffeurs are extensively trained and eagerly await your patronage! Do you have any questions about our vehicles or services? Are you ready to book? You can give us a call or shoot us an email anytime. We're available 24/7 every day of the week, even on holidays, so there's never a time that we cannot take your call or provide transportation services. We recommend calling as early as you can prior to your even date so that we can ensure the availability of our vehicles. We get booked up quickly, especially at the busier times of year, around prom and graduation. We'll provide a free price quote for you with a minimum of information, and we'll lock down your bus with just a fast credit card deposit. It's safe, smart, and easy. Call us today! We're happy to hear from you! Copyright ©2019 Philadelphia Limo | www.philadelphialimo.net | All Rights Reserved.